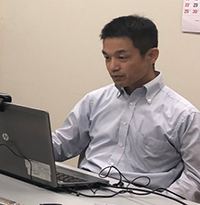 Dr. Satoshi Matsumoto joined the Kibo-ABC regular monthly web conference on April 26th. He gave a special lecture on the "Double Layered Liquid Ball" experiment which was carried out as part of JAXA astronaut Norishge Kanai's Asian Try Zero-G 2018 in February 2018. 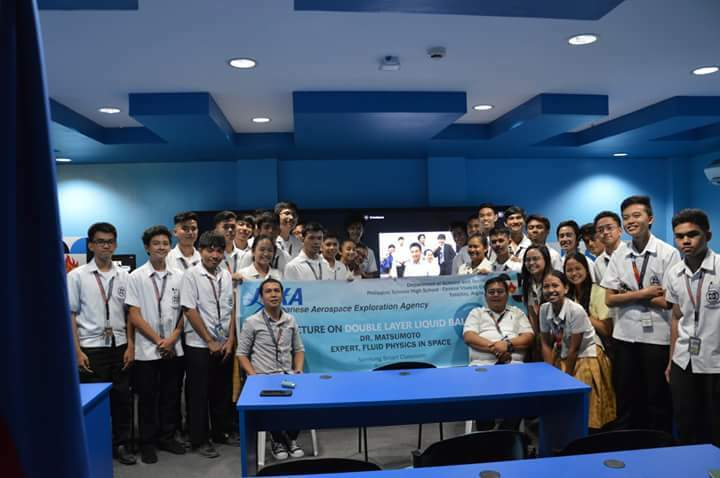 Approximately 30 students--the proposers of this experiment along with their classmates--from Philippine Science High School Central Visayas Campus joined the lecture and had an enriching experience through a lively discussion with Dr. Matsumoto. 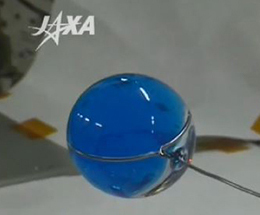 Dr. Matsumoto is a specialist of fluid physics experiments in space. From March 2018 for half a year he is also assigned as a JAXA Increment Manager, and is in charge of managing the entire Kibo operations including onboard utilizations to maximize outcomes. He started the lecture by introducing the International Space Station and Kibo experiment facilities such as Ryutai Rack, which is the experiment rack for fluid physics experiments. 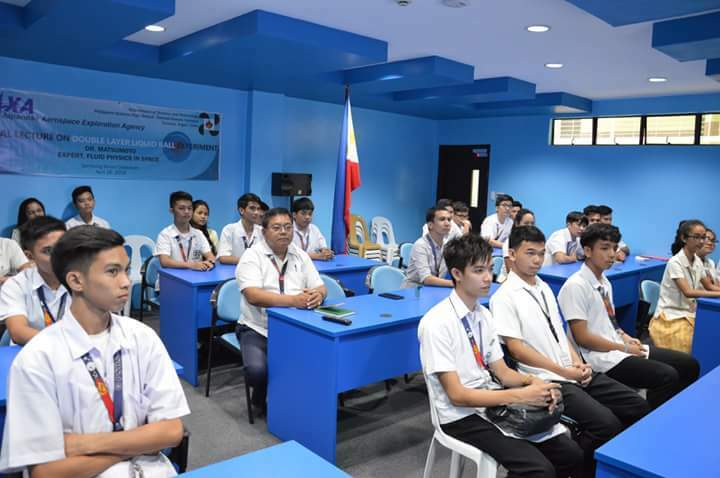 After that he explained the "Law of Universal Gravitation" and "Why does the Micro Gravity occur in the International Space Station" as background knowledge for understanding the nature of the micro gravity experiments. 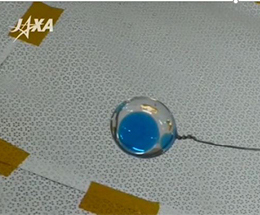 To have the students understand the results of the "Double Layered Liquid Ball" experiment, he explained "Surface and Interfacial Tension" as fundamental factors of the experiment. The students listened eagerly to the lecture, which was helpful for a deep understanding of physical phenomena of the liquid ball behaviour under micro-gravity. They are developing their own report about the result of this ATZ-G experiment. During his closing remarks, Dr. Matsumoto quoted a message from Astronaut Kanai: "Please keep asking questions and continue making questions. Sometimes no one can answer your question, but it's OK. Because eventually you can try experiments and find the answer to your original question yourself." Q： What happens if the two liquids are miscible? A： Miscible liquids may easily contact each other. After that, the mixture becomes a uniform consistency slowly. Complete mixing is not easy. For example, when you put sugar in coffee, you need to stir it vigorously with a spoon. Q： Are frictional forces present, considering that friction is typically based on the normal force? The frictional force comes from the viscosity of the liquid. When the liquid changes its shape, shear stress arises. Please imagine moving your hand in the air and in the water. You will probably feel more friction in the water.